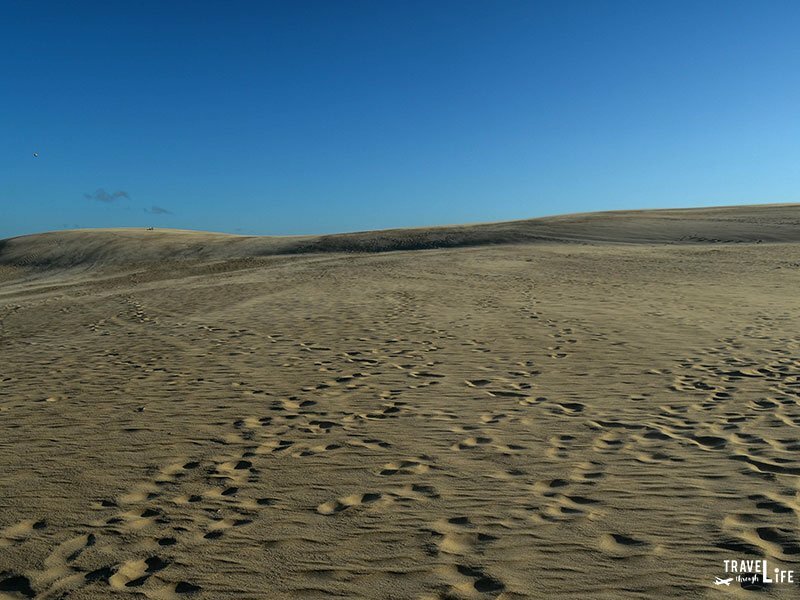 Jockey’s Ridge State Park in the Outer Banks is home to the tallest set of natural sand dunes on the East Coast. This wonderful landmark was once in danger of being destroyed, but thankfully, we can all enjoy it today. This is seriously a unique place and one of the finest that you’ll find on the North Carolina coast. There are a few things you should know, along with some tidbits that we throw in, and of course, our own personal experiences that we’ll share with you right now! Be sure to check best prices for hotels near Jockey’s Ridge and more places to stay in the Outer Banks! This article was originally created on September 27, 2016. It has been maintained and updated (as of March 26, 2018) to reflect current viewpoints and travel trends. The dunes at Jockey’s Ridge were once in danger because, in the early 1970s, developers were on the verge of leveling the area. Local resident Carolista Baum started a battle against the destruction and even got the likes of Carl Sandburg involved to keep the dunes at Jockey’s Ridge intact. North Carolina officially designated it as a State Park in 1975. So now, you and I are able to walk around those gorgeous dunes, staring at the beautiful coast and islands beyond them. That’s why I think the first thing you should do is appreciate those who fought to preserve Jockey’s Ridge. Jockey’s Ridge is fun throughout the year, though I’d recommend a visit during the warmer months, mainly because it’s a pretty windy place and can get cold in the winter. Don’t worry if you want to go when temps are low. Just bundle up and you can still have fun staring at the windy dunes. 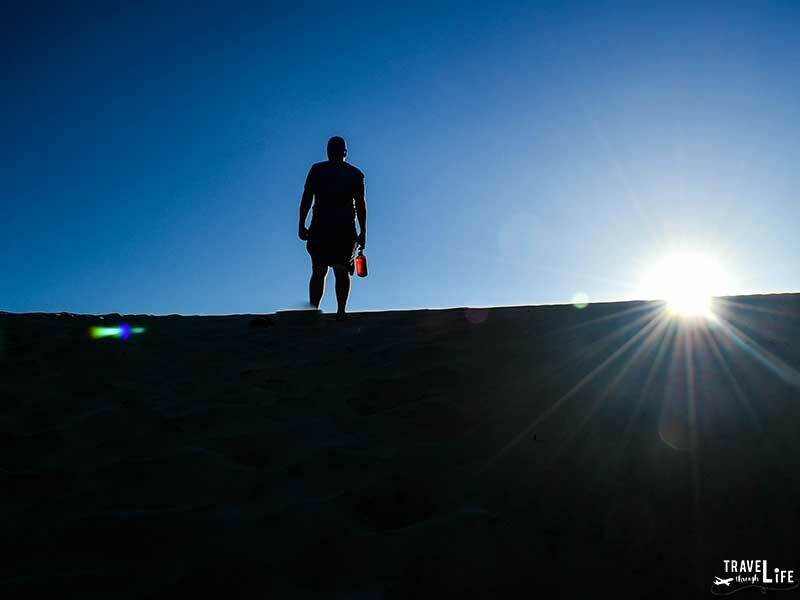 Whatever time of year you’re spending a weekend in the Outer Banks, arrive at Jockey’s Ridge in the afternoon, so you can play in the sand for a bit before the epic sunset begins (see below). Sunglasses only provide slight protection from the blowing sand and this kind of work warrants a bandana or handkerchief. 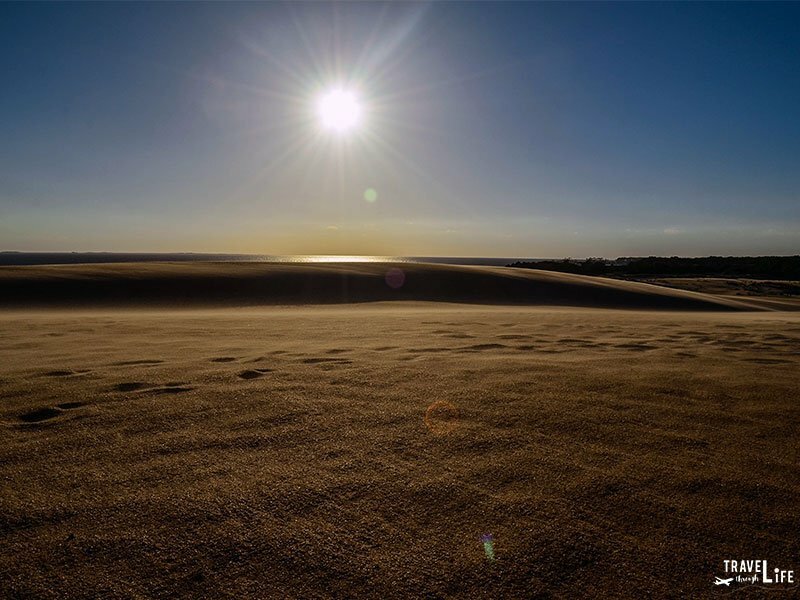 The sand on the dunes can get incredibly hot during warmer months. Also, beware of lightning storms if you’re visiting in the summer, especially in the afternoon. If you hear the warning siren, that means a lightning storm is approaching and you stay clear of the ridge and get away from the area as soon as possible. One cool thing that you can see in the museum (see Admission & Park Hours just below) are fulgurites. These amazing things are hollow tubes that are formed when lightning strikes the sand. If anything here is inaccurate or out of date, please let us know and we’ll be happy to edit accordingly. There are eight picnic shelters located inside the park and each one has two tables and a grill. You can also find drinking water and restrooms near the shelters. Park staff will let you use the shelters for free unless you’d like to reserve them. 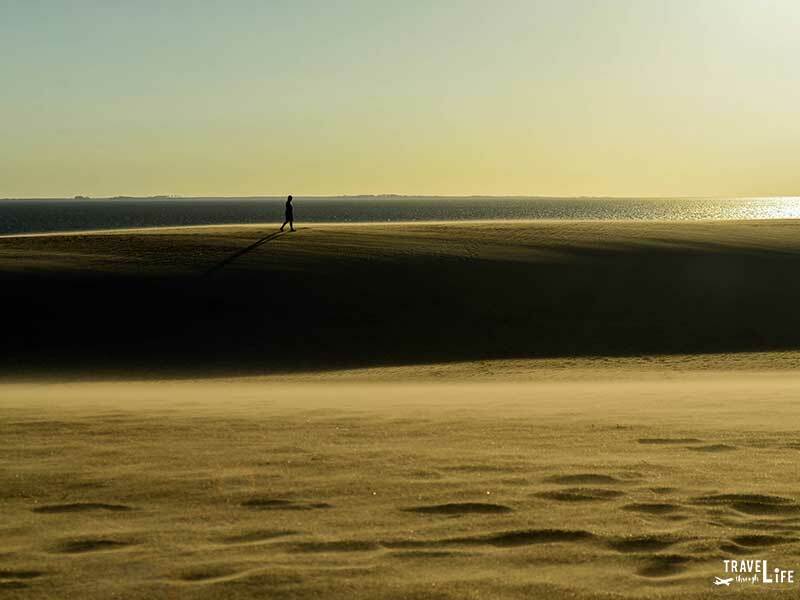 There are three official self-guided hiking trails at Jockey’s Ridge. Tracks in the Sand (1.5-mile loop) starts at the parking lot and takes you over the sand dunes, to the Soundside, and then back to the start. The 360-foot boardwalk is a much shorter trail and great for those who’d like to stay off the sand and still learn about the environment at Jockey’s Ridge. You can even see the dunes from a bench at the end of the boardwalk. The Soundside Nature Trail (1-mile loop) starts at the Soundside parking lot and will take you to a nice overlook. The sand dunes are worth staring at for a majority of your time there. Walk past the windmill and first observatory and you’ll see them dominating the landscape. They’re the perfect canvas for photos. We loved staring at the quilted valleys of darkness and the light, bright dunes. In one way, the scene resembled an elaborate, misshapen chess board. You can walk down into a valley between dunes and easily disappear from view. On nice days, you’ll see kids flying kites in the distance and adding pretty colors to the already-beautiful blue sky. Visitors can also see people hang-gliding, though only those who register and possess a USHGA Hang 1 (or another agency-approved rating card) are allowed to hang-glide at Jockey’s Ridge. 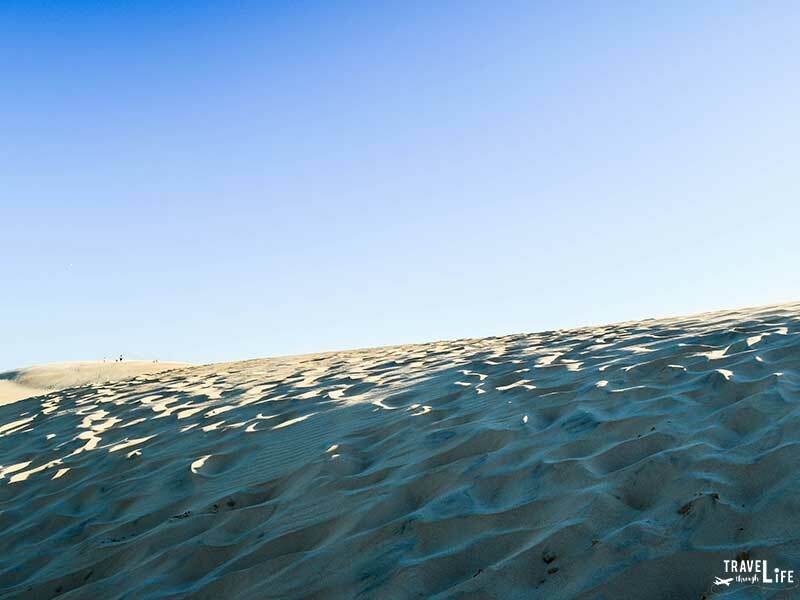 Sand-boarding is also allowed in a designated area of the park between October 1 and March 31. Keep in mind that permits must be obtained from the park office. For anyone under 18, parents have to sign a form. As sunset approaches, sit back and enjoy the awesome view. For us, the park seemed empty. A couple of families flying kites earlier morphed into a crowd of new arrivals that came for sunset. We all stood and watched the sun change colors and sink below the horizon. Soon after, we all started back toward the entrance and our cars. It was a really cool moment and one I hope you get to experience! 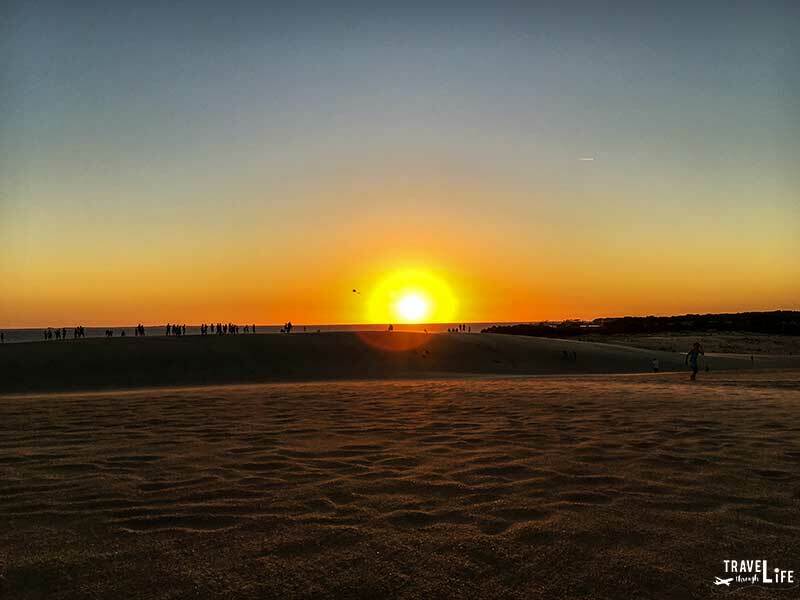 Visiting Jockey’s Ridge State Park is one of our favorite things to do in the Outer Banks and we hope you get to enjoy it. I can’t get over the rolling dunes, the wind, and the beautiful surroundings that make up this awesome place. We should all be thankful that we can still spend our days gazing at the beautiful dunes and scenery beyond. It’s impossible to capture my gratitude to those who worked so hard to preserve Jockey’s Ridge State Park. Hopefully, many generations beyond ours can come and check out this amazing landmark. Long time no read! This was a great post to come back on. I love dunes and desert environments. So cool that these were preserved for future generations to enjoy. I think lots of people see dunes and desert as desolate places, when really they’re incredibly diverse and fragile ecosystems. 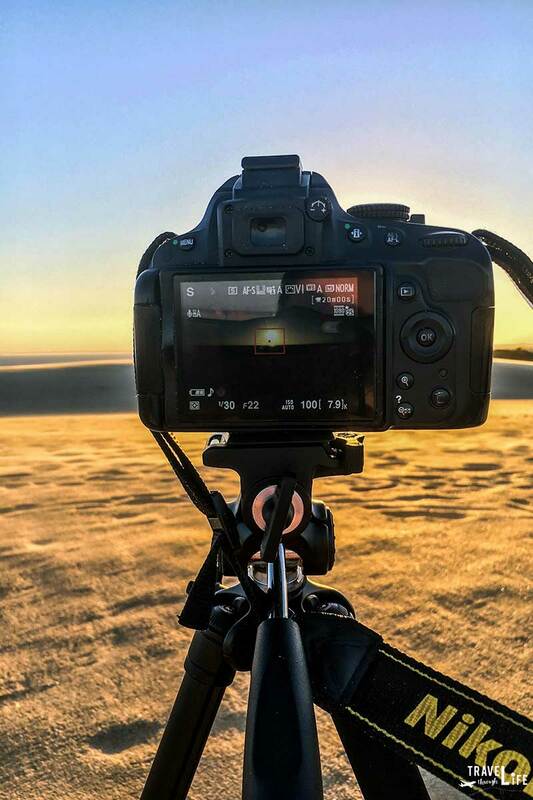 That timelapse is super cool. I’m feeling an urge to hurl myself facefirst down a dune now! Wonderful article. 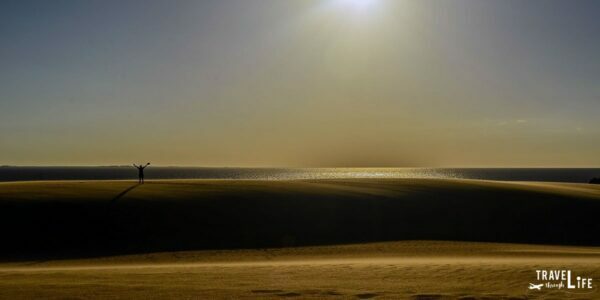 I have been to Jockey’s Ridge a couple of times, when the kiddies were little, to play on the dunes and fly kites. Sweet place. Thank you, Charles. I appreciate your kind thoughts and comment. Maybe we can meet up in Duck and gorge on some donuts someday? Lol. I’ll get the first round!